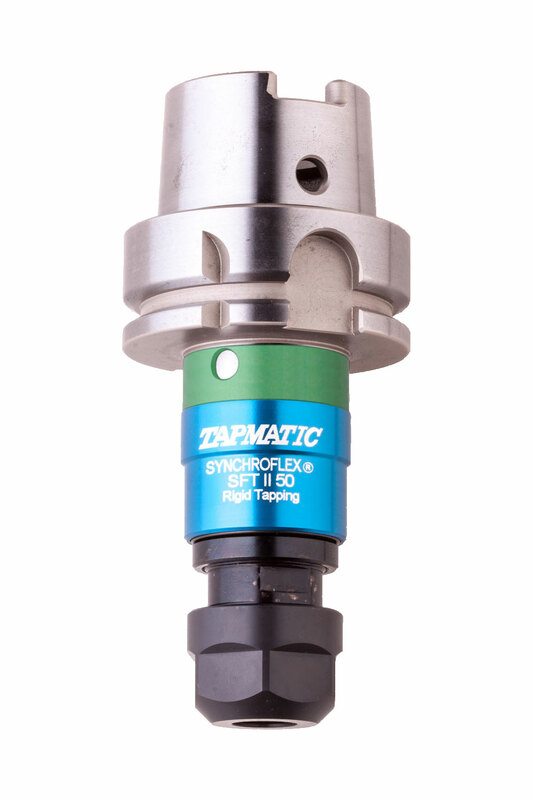 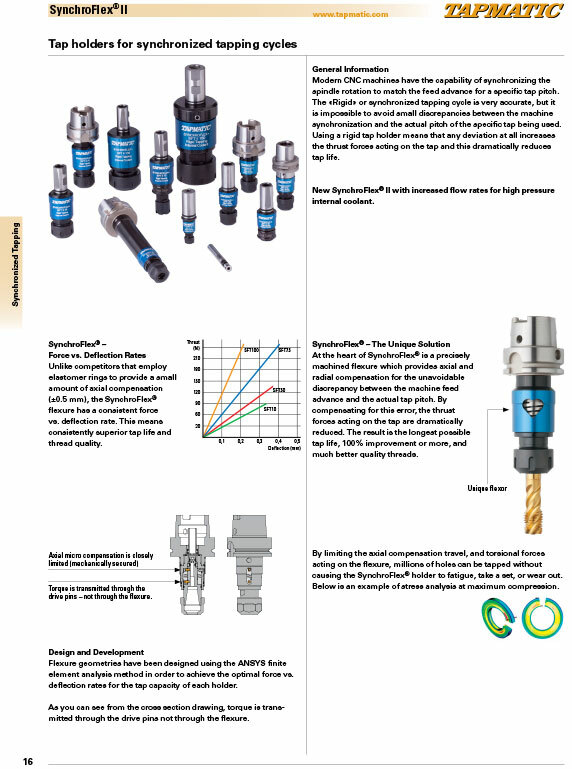 SynchroFlex tap holders dramatically improve tap life and thread quality by compensating for the unavoidable discrepancies between the machine synchronization and the actual tap pitch. 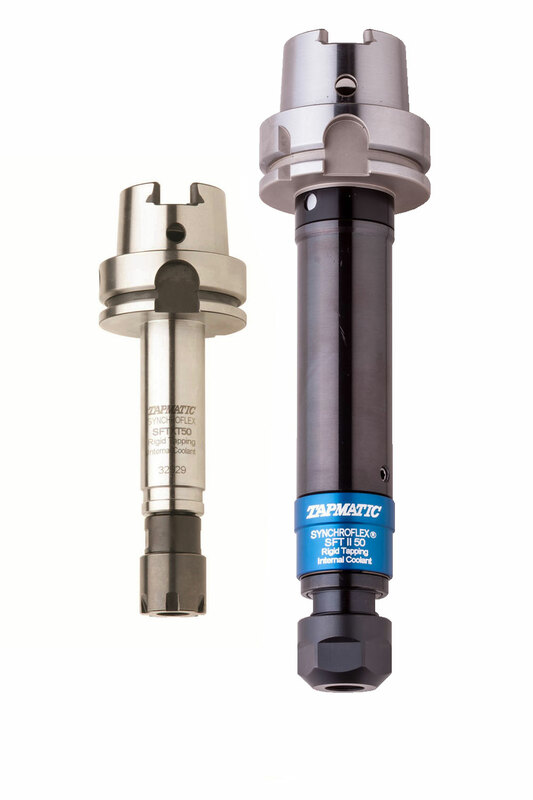 For applications requiring an extended length to reach the hole, we offer standard extended lengths or special holders with reduced diameter and extended length. 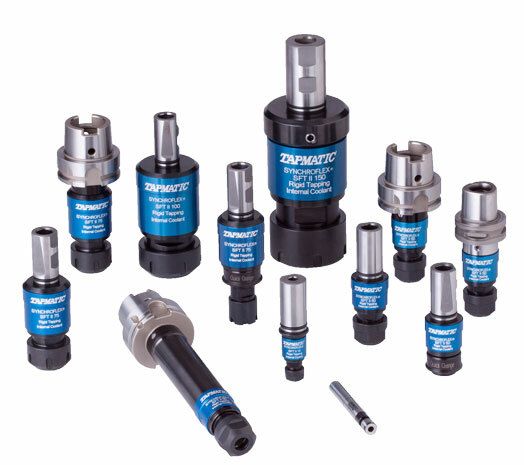 Synchronous speed tap holders with integral HSK shank, with MQL, minimum quantity lubrication.